FlatClub hosts already heard great news earlier this year when it was announced that short term letting was legal in the UK, and things are about to get even more exciting for UK tenants! Now George Osborne, Chancellor of the Exchequer, is lending further support to sharing economy marketplaces such as FlatClub by easing the restrictions on subletting for tenants. See page 51 of the official document for more information. In simple terms, how it used to work is that if you were renting a property from a private landlord , they had the right to stop you from ever subletting. 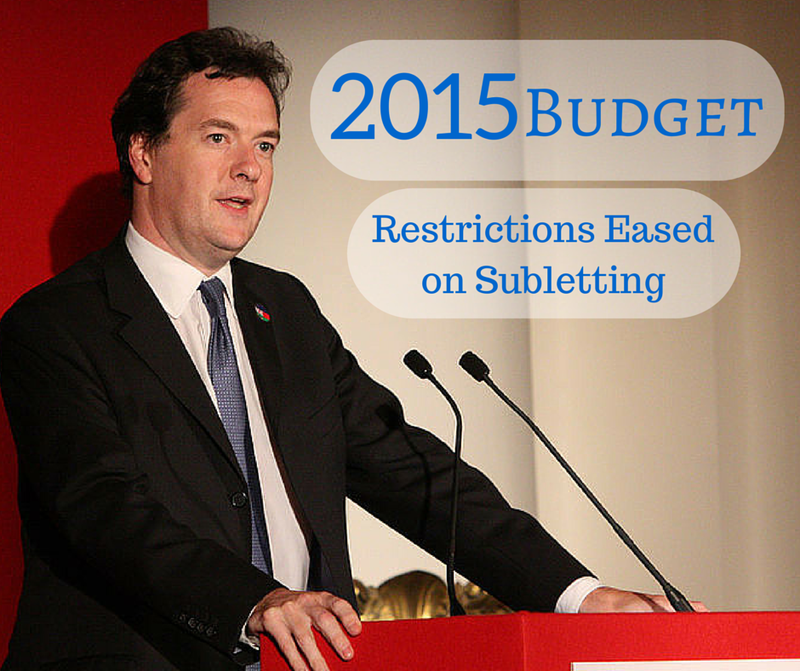 The new guidelines say that landlords may no longer restrict subletting within reason. If you’re renting property in the UK from a private landlord, they’ll be required to seriously consider any request you make for sharing space or subletting on a short term or medium term basis. 1. Check your current contract - Double check and see if your contract stipulates anything specific about subletting. 2. Talk to your landlord - If your current rental contract states that you may not sublet, inform your landlord about this change. We have a template letter that you can use. 3. Sublet with FlatClub - When you rent out your property with FlatClub, you will put your landlord's mind at ease in addition to making some extra money. Insurance - All private hosts are covered by our £500,000 Host Insurance plan. Guaranteed Payments - We manage payments & we guarantee you will receive it. Trusted Guests - Using LiveDemand, you can select your own guests. Corporate Guests - We work closely with companies like Google & Microsoft to find their employees amazing accommodation - just like yours. Excited? We sure are! We’re ready for the influx of new hosts to our site, so post your place & get started today. Every British person will have an answer at the ready - even if that answer is “coffee, please”. Tea is quintessentially British, and is a tradition shared among all countries of the United Kingdom. How Do People Have It? There are so many things that factor into how someone may have their tea: milk, sugar, the order where extras are added, and of course, steeping time. All this is strictly personal choice, but variations on the traditions will definitely be cause for some light-hearted arguments in the UK. Add the milk before the boiling water? Fighting words to a classic tea brewer, however some surprising science has came out in support of this controversial position. Of course, there is even more variation to be had: for instance, what sort of tea will you take? Traditional teas served in the morning & afternoon include English Breakfast (a black tea blend with assam & ceylon) and Earl Gray (a black tea blend with a citrus-y flavor from added bergamot oil), which contain some caffeine to give the early part of your day a boost. It’s often an accompaniment to a meal, such as breakfast or a light snack. Other popular teas that are served throughout the day include green tea (an exceptionally healthy Chinese tea, served without milk or sugar), chai (a spicy tea originating from India that takes sugar & cream very well) and tisanes such as fruit infusions & herbal ‘teas’, which don’t contain any actual tea leaf - and therefore no caffeine. A particularly good bedtime choice is chamomile tea which is made of dried chamomile flowers & promotes restfulness and muscle relaxation. How Does FlatClub Take Their Tea? We here at FlatClub are quite the international group as you can see, and among us there are admittedly more coffee drinkers than tea sippers - however, we all enjoy a spot of the good stuff every now and then. Those of us who regularly drink black tea like PG Tips prefer it strong, no sugar, and a hearty splash of milk. This is also how we recommend you take your officially endorsed FlatClub tea for guests! FlatClub Endorsed Tea in Welcome Packs? 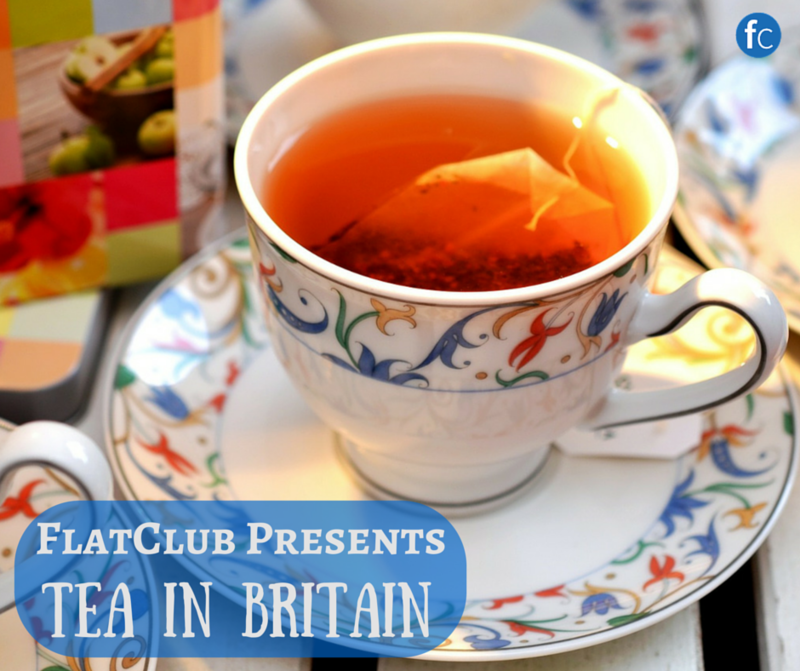 That’s right - when you book a medium term stay on FlatClub in London we send you some PG Tips to help you get adjusted to the UK and better understand the locals, alongside some other important things in our Welcome Pack. Not only that, but you can enjoy a lovely biscuit or chocolate treat to go alongside - again, provided in your Welcome Pack. This is the customary way to enjoy tea in the FlatClub office, and we can encourage you to partake in this most English of customs while you're staying in England. FlatClub is constantly iterating and looking for new ways to make the transactions & communications between hosts & guests as smooth as possible. We wouldn't do any of this if it wasn't for our hosts & guests. That’s why we're sharing with you our 'masterlist' of planned new features. While we can’t make any specific dates public, rest assured that we plan to release all of these features sometime in 2015. Don’t see something you want down below? Let us know in this simple, anonymous survey & you just might see your ideas on the roadmap next. We’re adding more details to the dashboard calendar, including an easy way for host’s to see their booking window, and the visible period pricing for seasonal discounts. Booking windows on calendars for professional room providers will be added, with a beta version already live on the site. Notice time will be added to calendars as well, so that hosts can let us know when they plan to take bookings. Improvements here include 2 way messaging via SMS for hosts & guests to communicate easily, before booking has even occurred. Hosts will also be able to immediately accept, decline, or further discuss booking requests via SMS. We’re improving the visuals of the dashboard to make it less cluttered and easier to find what you need to know & what you need to take action on. Hosts & guests will be able to easily view their upcoming payments, and print out invoices regarding payments easily. Confirm Booking Through Texts - This one has been requested frequently, so we’re making it happen. When host’s receive a booking request, they’ll also receive a text message at the same time where they can simply text back ‘YES’ to confirm the booking. Edit Your Own Booking - Make changes to your booking as a guest directly on the site: extend your stay, change your check-in date, and more. Post Your Flat On-the-Go - We’re optimizing our post a flat process to work well on mobiles, which means you can not only make small edits while you’re on the move - you can also post your entire flat from wherever you are! Cancel A Booking - Guests will be able to cancel within the bounds of the cancellation policy directly on the website - and hosts can cancel bookings, with all parties being notified immediately. Travel Money - We’re instating a brand new travel money program, where guests and hosts alike can earn extra holiday cash by suggesting FlatClub to friends, taking surveys, or otherwise helping to grow & improve FlatClub. Paypal Payments - This much-requested feature wherein you can make or receive payments via Paypal is also planned for release. We'll be updating periodically with new ideas, so keep your eyes on this page. Flowers are a grounding & natural presence indoors, and placing them in a flat or room can make your guest feel more at home, especially if they’re in an unfamiliar city. You don’t need to break the bank finding fresh flowers in London or elsewhere, and when you’ve chosen your bouquet there are ways you can keep them fresher for longer. Not sure what sort of flowers to choose for decoration? These are usual crowd-pleasers! Sunflowers - These large and cheery flowers make a big impression in a living area. Yellow is considered to be an ‘energetic’ colour, so perhaps it’s best left out of the bedroom just in case. These are a welcome addition to kitchens, living rooms, and hallways. Gardenias - These delicate & fragrant blossoms are joyous and have a clean appearance. They’re a perfect choice in a washroom or kitchen. Roses - The classic flower, often considered a symbol of romance - it’s also representative of comfortable, homey feelings. Red is a nice choice, as is light pinks & yellows in a kitchen or living room. Carnations - With their multi-layered blooms & soothing scent, these flowers do well in a bedroom environment. As they come in so many colours, it’s easy to find a bunch that will go with your home decor. Lavender - Not much of a greenthumb? Dried lavender sprigs can make a soothing & grounding decoration in a bedroom as well, but with much less upkeep. How can you keep your flowers in tip-top shape, or what direction can you leave for your guests if they want to enjoy the blooms in your home for a long time? 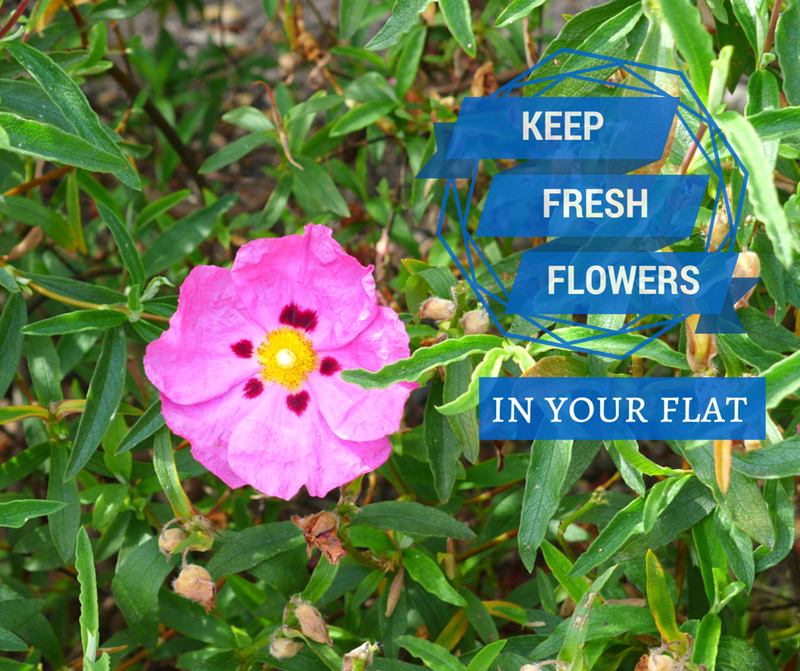 Flower care does vary between the types of plants, but in general once you receive the flowers you should cut diagonally across the stem about an inch. Then cut diagonally like this by a small amount every two days. Water should be changed frequently to inhibit bacterial growth - once a day or every two days is a good rule of thumb. You don’t need to spend money on ‘plant food’ for your water, either - a simple mixture of 3:2 sugar & vinegar is all you need to help preserve them! Some charming ways to display your flowers include arrangements - that is, taking different flowers and grouping them together so that they’re one bouquet. If you have an eye for colour & shape this can be a relaxing & creative project for the home. You can also play around with how the flowers are actually displayed, by using different and non-traditional vases. Using a watering can as a vase is a clever way to bring a touch of rusticism into a city flat. Wine bottles can also be used as vases to make a striking centrepiece out of a single flower. A shallow, wide vase in a bowl style can be used to float small blossoms on a dining table. Cut away everything but the very top part of the stem, and float in water. If you’re having trouble making the blooms float, affix a small piece of bubble wrap to the underside of the flower. Note that while attractive, this is unlikely to last long as a display. We’ve mentioned before how we’re happily headquartered in London’s ‘Tech City’, and while the area is definitely the spot for startups & tech industry heavyweights, it’s also home to a strong street art scene. While this seems natural to residents & workers here, just because it’s always been that way, it may be an interesting contrast to outsiders. The reason for the amount of street art here in the Old Street/Shoreditch area is because this neighborhood was at one time quite inexpensive, and therefore easy to rent property & little care was placed on whether or not a building was ‘defaced’. Those days are long past, as anyone renting office space here can attest, but the artistic impression made here back then remains. Street art has become a well-respected medium by large swathes of the population, who appreciate the beauty that it can add to an otherwise derelict cityscape, the statements it can make, and the thoughts it can provoke. Many well known street artists have work displayed in the area surrounding our office. These artists have work displayed worldwide, so you may even see something in your hometown! Some of the big names in the Old Street area include Banksy, who also has work in Europe, the Middle East, and the United States. He has multiple pieces scattered through the Shoreditch area. ROA is an artist known for painting animals (in various states of decay or distress) that are native to the cities where they are illustrated. He has work in Chicago in the United States, many European cities, and quite a lot in the Shoreditch neighborhood. His style is very distinctive & stands out among more colorful street art. Stik is a wildly popular street artist in London who has gone from living in a homeless shelter to being able to make a living off his art. Much like Banksy, he is secretive about his identity. His emotive stick figures can be seen dotted around East London, and some have sold for upwards of £6k. Ben Wilson uses an incredibly unique medium to create his street art. Discarded chewing gum is heated, spread, and painted over to create amazing miniature works of art. He has some lovely work near our office, and we’re always looking for more. We’ve put together a map to show you some of our favorite pieces nearby. Log into Google & feel free to add pins yourself as you find new & interesting work! Specifically we’ve highlighted art done by ROA, Banksy, Stik, Thierry Noir, and Ben Wilson. Want to explore around with some skilled & knowledgeable guides? We know of a great guided tour in Shoreditch for street art, put on by Street Art London. They actually meet up very near our office! We’ve got lots of great properties in the Shoreditch area, the Tech City neighborhood, and the Old Street roundabout: this lovely 1 bedroom flat for £2k a month, this shared room in Whitechapel for £464, and a private double room in Brick Lane for £1600 a month. 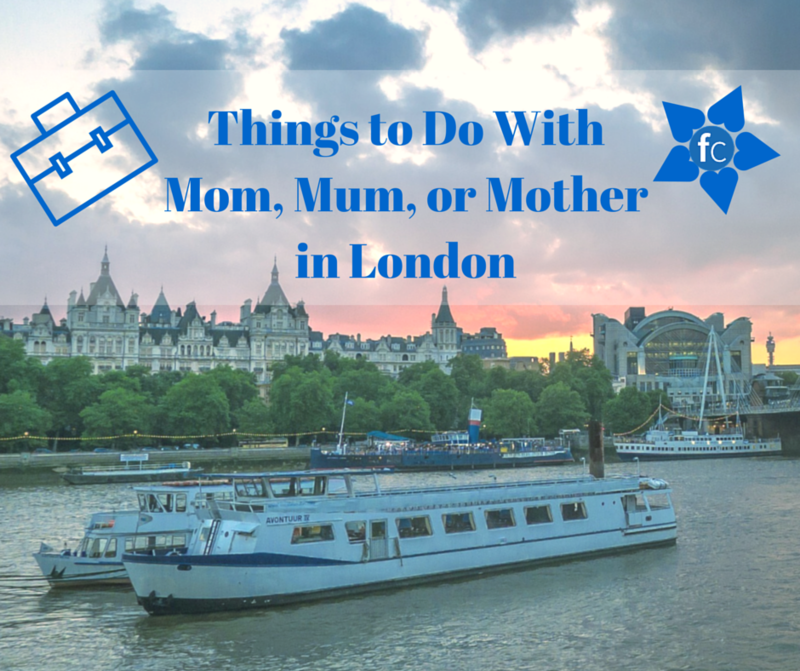 Mother's Day in the UK is on the 15th of March, and if you're visiting London & staying with FlatClub, it's a great opportunity to treat her to a day out on the town. If you're staying in London on a medium term basis over Mother's Day weekend, this might be the perfect time to schedule a family visit. Looking for an extended stay in London around March 15th? 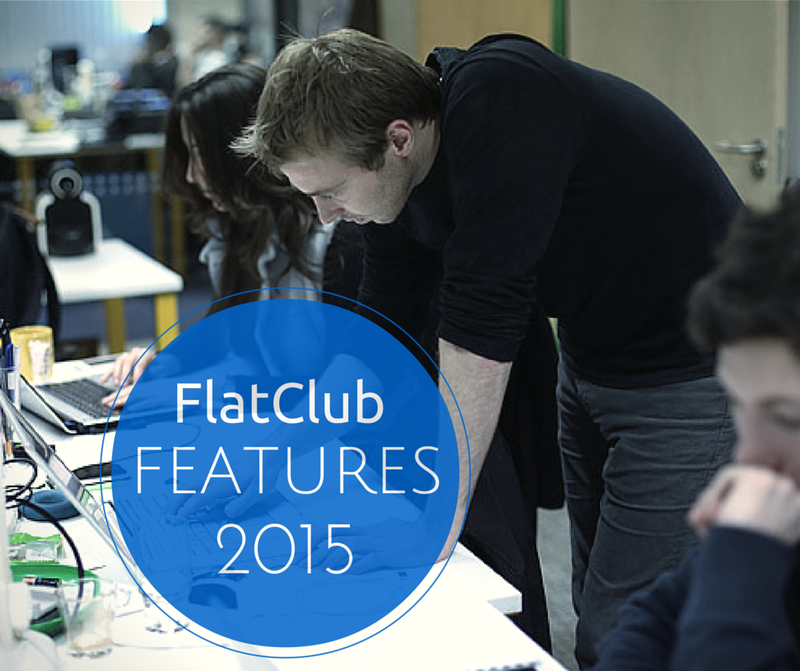 FlatClub can provide medium term stays in private rooms, studios, and flats. What could be better? How about if it was a scant £22.50 per person? You & your mum could sup upon tea, scones, jam & cream, and sandwiches for an hour and a half while you relax & take in the sights of St Paul's cathedral, Big Ben, and Tower Bridge. A true mum's delight! A nice day out in London is made all the more memorable with a trip to the West End to see one of the top musicals of our time. Wicked, Billy Elliot, and of course Mamma Mia (how apt) are all great choices for a Mother's Day to remember. A huge variety of food vendors, antiques, local produce & artisan goods - there really is something for all types of people (and all types of mums) at this market located inside the historic Old Truman Brewery. There are many spas in London, lots of great ones - but the St Pancras stands out in our estimation. It's a new and spacious spa located conveniently in King's Cross (stop in before you go to Paris?) with tons of treatments - deep tissue massages, full-service facials, and jacuzzis. One great choice for bonding & pampering.